Please note: GLM 3 is now available. GLM 3 offers beta Cloud services, Reference Level listening features and several other important refinements – making it the most powerful version of GLM yet. Click here for more details. The brain of every Smart monitoring system is Genelec Loudspeaker Manager (GLM™), and GLM 2 is the Smartest version yet. With an expanded feature set but the same intuitive ease of operation, the software is already creating the world’s Smartest SAM Systems. With GLM 2, the benefits of Smart monitoring are yours to use on both Windows and Mac. Designed for simple and intuitive operation yet rich with features, GLM 2 first gives you the tools you need to optimise your SAM system, then guides you through the process of making the most of your environment. Best of all, when your system is perfectly calibrated to your requirements, the settings are saved in both system setup files and each individual Smart monitor and subwoofer – even if your GLM 2 network needs to be disconnected, your system stays Smart. Manage and control up to 30 Smart monitors and Smart subwoofers. Easily and swiftly create systems to suit all types of multichannel or 3D immersive audio formats. Optimise the performance of your Smart monitoring system and make the most of the environment in which you are working. Use AutoCal™ to achieve neutral sound reproduction. Accurate and stable sound stage imaging is delivered thanks to adjustments of levels, distance delays, subwoofer crossover phase and room response compensation equalisation. Store calibration settings for different listening positions then instantly recall them as required during production. Adapt to your acoustic environment – symmetrical or individualised stereo pair equalisation compensation can be used depending on your requirements. Achieve smooth frequency response transition around the crossover point, as phase is automatically corrected for all Smart subwoofers on the network. Use the Group function to create and recall customised response curves, with each monitor Group possessing its own GLM calibration file. Also include both analogue and digital inputs in Groups, plus an unlimited number of system setup files. Manage levels with the software-based GLM master fader or external wired or wireless volume controllers. An on-screen, real-time SPL reading of the active monitor Group allows you to keep watch over the production SPL. A world’s first technology that changed how monitoring systems are created, AutoCal™ takes on the hard work of system optimisation so you don’t have to. Included in the integrated process is the automatic measurement, analysis, and adjustment of every Smart monitor and Smart subwoofer on the GLM 2 control network. A factory-calibrated Genelec 8300A acoustic measurement microphone (included) is used to capture all parameters of your acoustic environment. AutoCal measures the response in the listening area and applies relevant compensation in the low and low-mid frequencies to minimise detrimental room acoustic anomalies as well as differences between various listening positions. It also sets the correct crossover phase for all Smart subwoofers on the network. After automated calibration, based on one or more listening positions, all components in a system play back at the same level and timing, with acoustical colourations removed from the monitors’ responses, leaving superb consistency and neutral sound stage imaging. The Acoustic Response Editor provides an accurate graphical display of the measured response, filter compensation and the resulting system response for each monitor, with full manual control of acoustic settings. SinglePoint™ and MultiPoint™ microphone positions provide measurements options to suit your requirements, including one, two or three person mixing environments. Additionally, calibration settings for different listening positions can be instantly recalled. 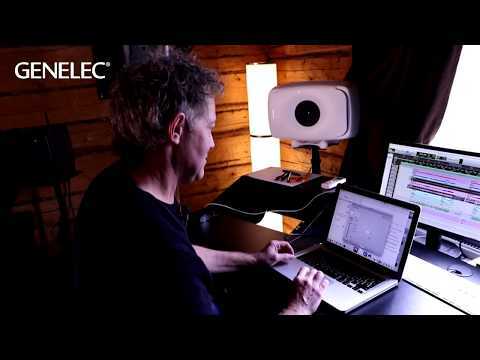 Genelec introduces new versatile, adaptive and powerful loudspeaker management system, the GLM 2 software.